Annacurra – One of the oldest clubs in Wicklow! 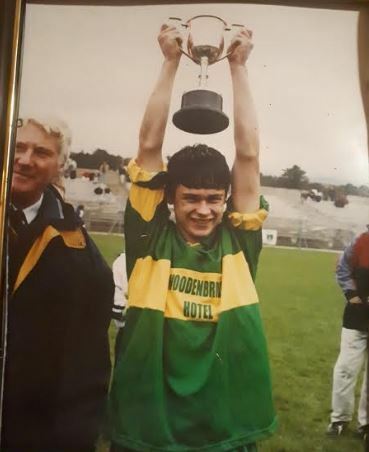 Annacurra can be considered the very first superpowers of Wicklow Gaa and have featured in several key games in Wicklow’s history. 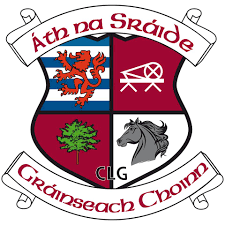 The club first practiced in Caufield’s field at the cross roads and later played their games at Blake’s field in Kilpipe. Avondale provided the opposition in Annacurra’s first ever match and the result went in Annacurra’s favour. 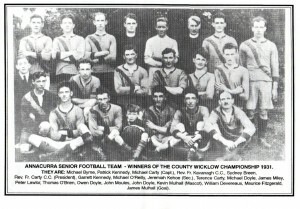 Annacurra won two and a half of the first three championships in Wicklow from 1886 to 1888. In 1887 they reached the final with Clara. 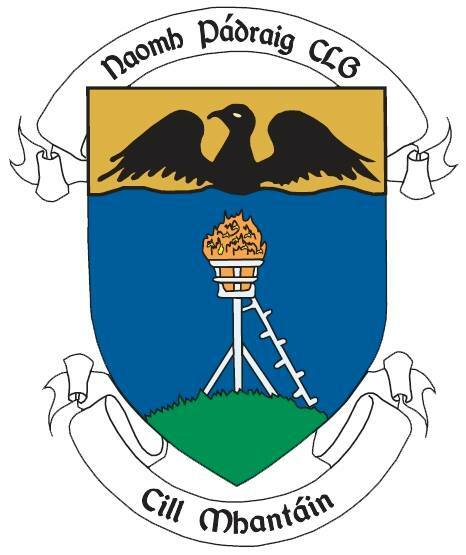 As was the tradition at the time the winners of the county championships represented the county in the All-Ireland series. 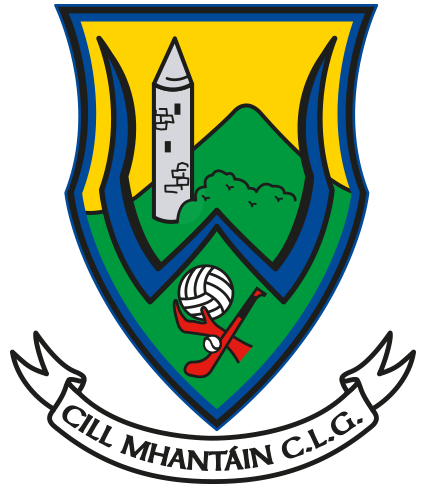 The Wicklow final was not finished on time (As was to become a recurring trend in Wicklow GAA) and as Annacurra were overwhelming favourites to win, they represented Wicklow. Annacurra played the Wexford champions in the 1888 Leinster in what was a game that would go down in folklore. The game was level at half time and Annacurra opened up a two point lead entering the final minutes of the game. A heavy tackle between two players brought a crowd onto the pitch and the game had to be abandoned. A month later, a replay was fixed for Clonskeagh in Dublin and Annacurra were defeated after extra time on a score line of 1-2 to 1-1. 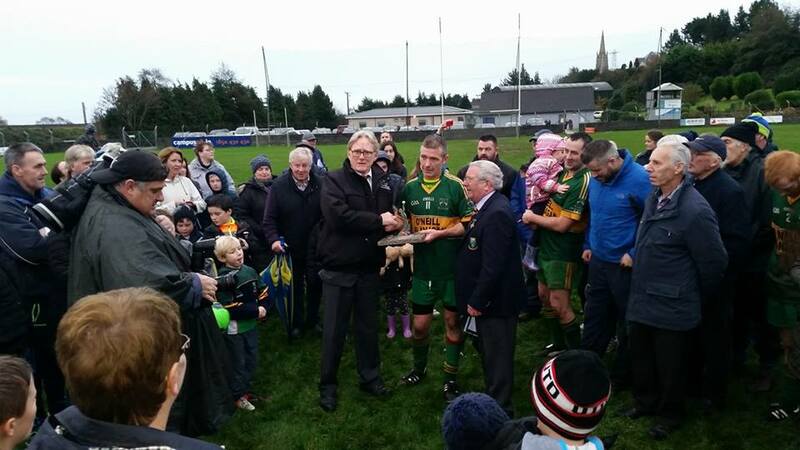 The county final was never played and the title was shared. Another title was added in 1892 and it was Rathnew who finished the century as the dominant force. In 1913 Annacurra were back at the winner’s enclosure. This win was considered one of our greatest ever wins. 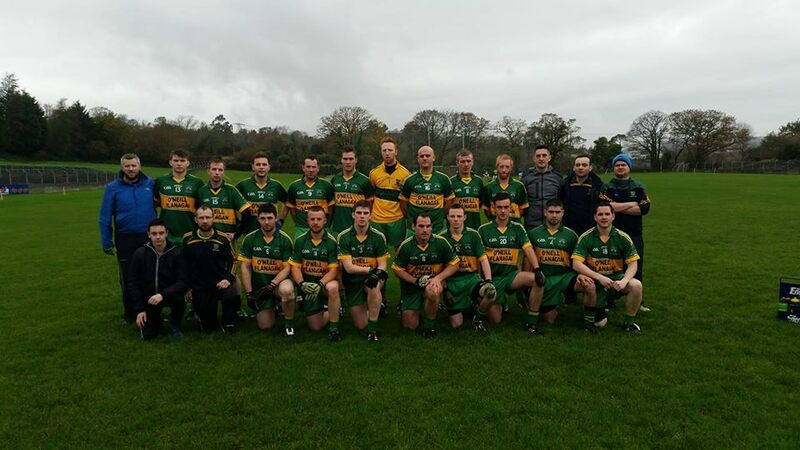 Rathnew were the reigning champions and the real force in Wicklow football. Annacurra won the game 1-4 to 1-3 and defeated a team that was considered unbeatable at the time. Heartaches occurred in the next few years. In 1916, Annacurra met Carnew in the final and drew. A replay was set but Annacurra could not travel. The Championship was awarded to Carnew as a result. 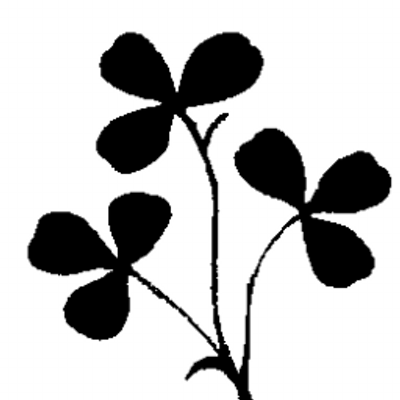 In 1918, Annacurra and Tinahely met in the final with Tinahely winning narrowly. Several objections were lodged and both teams were deemed illegal and the result was deemed null and void. Two years later, Annacurra finally got it right on the big day. This year, they defeated Rathnew on a score of 1-1 to 0-1. In 1926 Kilcoole won the title but were deemed to have played an ineligible player. They easily defeated Annacurra in the final but were stripped if the title and it was awarded to Annacurra. 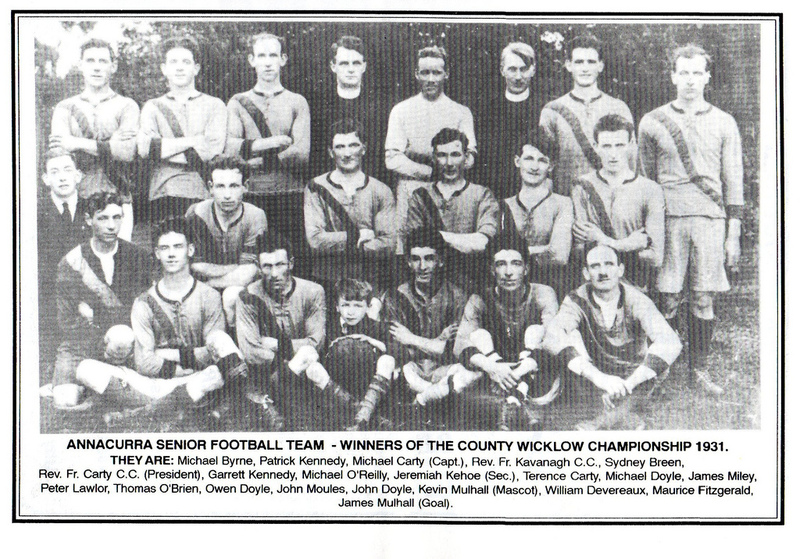 In 1928 Annacurra were relegated to junior level but their stay was short-lived as they defeated Donard by a goal and won the Junior Championship. In 1930, Rathdangan bet us in the semi final but in 1931, Annacurra captured their last senior title. They defeated Hollywood 2-2 to 1-1 but an objection was lodged which seemed to becoming a common occurrence with our club.  The replay did not bother Annacurra who defeated Hollywood by a point in the replay and the Miley cup as it is known now was back by the Derry River. In 1932 Rathnew defeated Annacurra in the final and this would be the last time Annacurra would contest a senior final until 1955. A new generation of footballers had taken over in the 1940’s and another junior final was won in 1944. 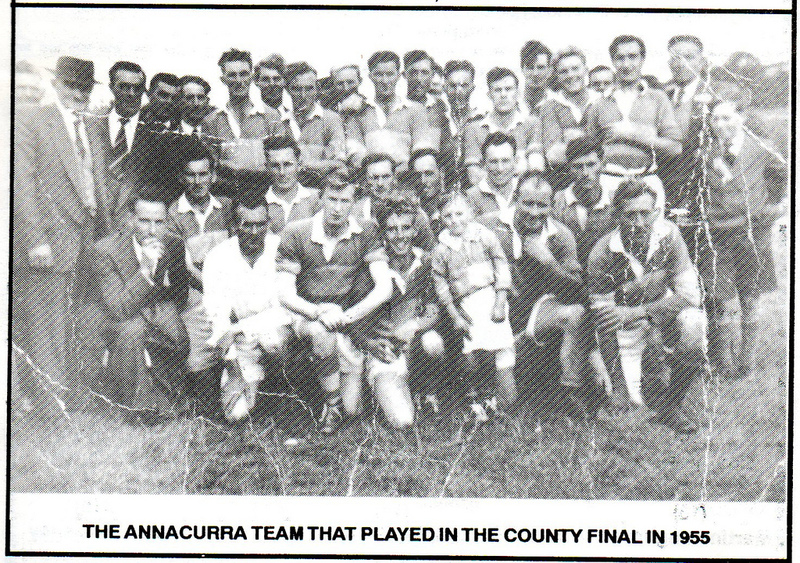 Annacurra were still a strong team in the 1950’s and were victorious in the 1953 Intermediate final when they defeated Baltinglass by two points to one. 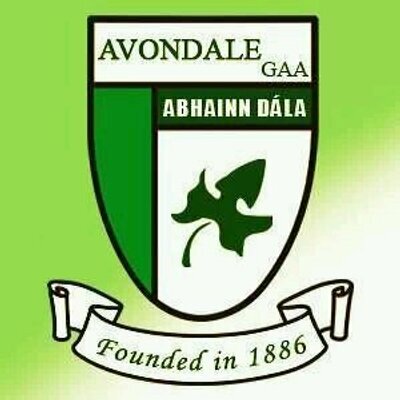 The team on the day: D.Kavanagh, J.Kavanagh, M.Doyle, S.Doyle (0-1 free), T.O’Neill, M. Hedderman, E.Doyle, T.Doyle, B.Moules, M.Toole, M.Kavanagh, T.Nolan, Fitz Moules (0-1) & A.O’Neill. They settled well into senior ranks and in 1955 they contested the final against an extremely strong St.Pat’s team. St. Pat’s would be an extremely powerful team for the remainder of the decade. 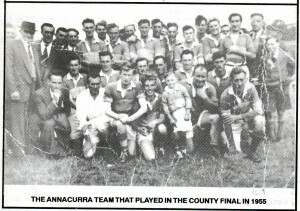 Annacurra produced a minor winning county team in 1963. 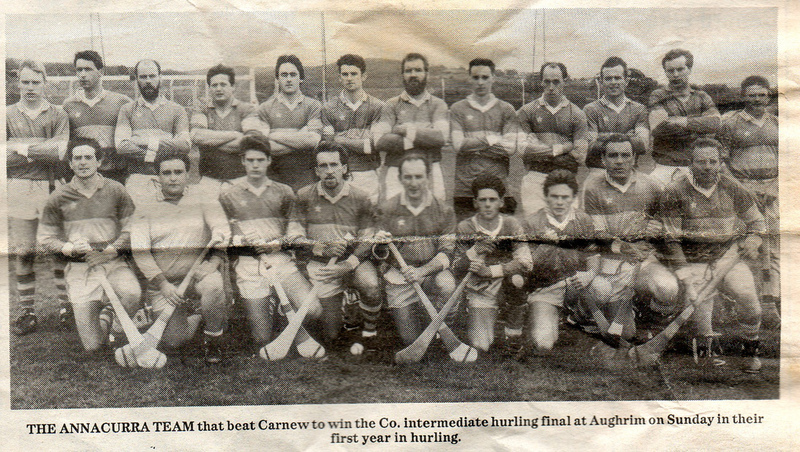 This team would produce the backbone to a team that in 1967 would capture a Junior title against old rivals Rathnew. It was on this day that Tom Carr scored the famous kick from 80 yards out. The following year saw a switch as hurling became the main sport in the village. The team was set up in 1991 and success was immediate. 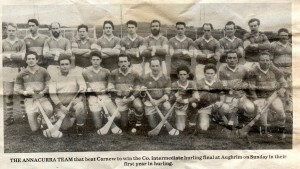 The team captured the Intermediate title after a John Horan goal helped them defeat Carnew in the final. Later on in the year the club defeated Aughrim in the Division 2 league final and captured the double in their first year back playing hurling. 1999 saw Annacurra back capturing a Junior C title with several current players figuring heavily on that team. Knockananna were the opposition and an early goal gave Annacurra a lead they never surrendered. From 2001 to 2004 saw four final heartaches for Annacurra. Defeats to Ashford in 2001 was a match where we either won to go senior or lose and get relegated to Junior A. Ashford were by far the stronger team on the day and were victorious. Our stay in Junior A lasted only a year as we were promoted in the league. 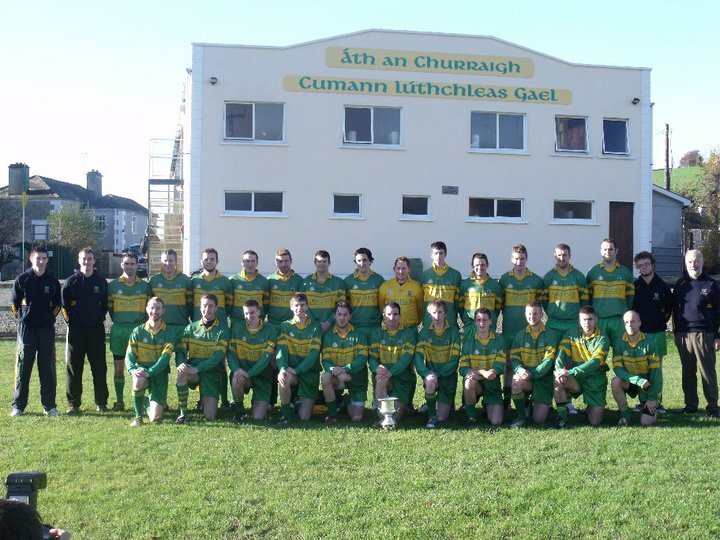 Unfortunately, Blessington defeated us by a point in the championship final that year. The following year saw three epic battles with Newtown in the championship final. Leading by five points in the second replay, a controversial penalty decision allowed Newtown back into the game and they won by a point in extra time. This game was particularly remembered for the efforts of Clive Horan who scored an incredible 2-9. Also during this incredible run to the final and also for the first replay, Annacurra goalkeeper Michael Doyle did not concede a single goal. 2004 saw Avondale defeat us in a final that Annacurra were massive favourites for. An early goal gave Avondale a lead they never relinquished. Annacurra would be promoted to senior on their league performances. In 2005 Annacurra recaptured the Junior C title and maintained an incredible club record of competing in five finals in five years. They were drawn to play Barndarrig who were the more fancied team. Annacurra battled to earn themselves a draw and a replay. After extra time in the replay, Annacurra emerged victorious by a single point. 2008 saw Annacurra contesting another Intermediate final. This time Carnew were the opposition. Annacurra led by two points as the game entered injury time but a late strike from a Carnew substitute snatched the title from our hands. At the end of the year Annacurra contested the Division 2 final against Coolkenno. This time the tables were turned as a late goal from John Thompson earned Annacurra a draw and forced extra time. Annacurra overpowered their opponents in extra time and were crowned league champions and promoted to division 1. 2010 finally brought the elusive county title to the current crop of players. The majority of the team had contested finals throughout the decade but could never cross the finishing line. Their perseverance finally paid off. Carnew man, Robert Doyle (who managed Carnew to beat us in the 2008 final) took over the managerial reigns and Annacurra came through the Championship group unscathed. 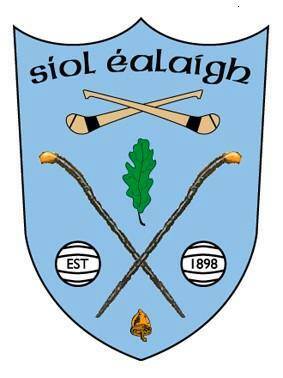 They defeated a recently relegated Shillelagh side in the semi final with six points to spare. The final would see a pairing with Eire Og, Greystones who were developing a young team that included two of the Wicklow starting XV. 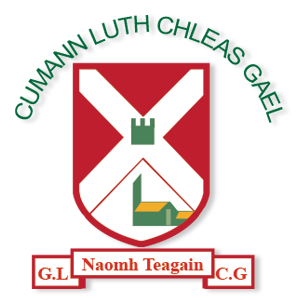 After a blistering start with the wind, a four point lead was opened up but Eire Og clawed their way back into it and trailed by one at the break. The second half again seen Annacurra open up a two point lead. 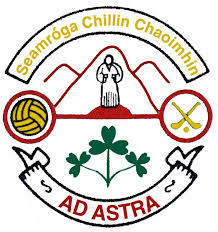 Despite Eire Og reducing the deficit to the minimum, some stellar defending kept them out and Annacurra had finally captured the Intermediate Championship on a scoreline of 0-8 to 0-7. 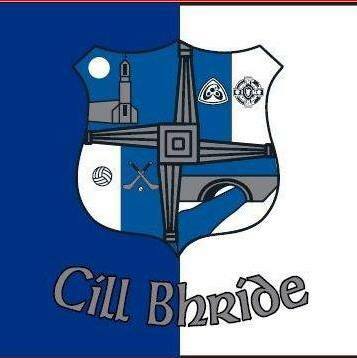 Team: S.Doyle, Martin O’Brien, C.Byrne, L,Moules, W.Codd, P.O’Brien, P.McDonald, A.Horan, A.Byrne (Capt), Mick O’Brien (0-1), F.Clune (0-4), P.Moules, C.Horan, I.McDonald (0-2), S.O’Keefe (0-1). The rest of the panel included M.Doyle, S.McAllister, D.Thompson, J.Thompson, J.Fitzgerald, P.Clancy, S.O’Neill, M.Healy and S.Murphy. The management team was completed by Tom Doyle and John Horan. An innovative health survey conducted by Annacurra GAA Club has revealed the engagement of older adults to be the number one issue its members and the wider community are concerned about. And now the club is seeking your help and assistance in responding to this and other key health and wellbeing issues affecting us all. The survey was conducted as the first step in the Annacurra GAA Club involvement in the new GAA Healthy Club Project. The club was one of 18 clubs selected nationally to be involved in Phase 1 of the project, launched in Croke Park in March of this year. “The GAA Healthy Club Project aims to highlight and reinforce the great work already being done by clubs while assisting them in identifying and responding to the most important health issues amongst their membership and in their communities,” Liam O’Neill said at the launch of the project. The project is being rolled out in conjunction with numerous elements of the Irish Health Sector north and south of the border, and the first phase will run for 24 months. To get the ball rolling, Annacurra GAA Club conducted a survey of its members and the wider community designed to help identify key health issues it should prioritise during its involvement in the project. This was the first such survey to be conducted in the community and it returned some interesting material. The club is now in the process of developing an action plan to respond to these issues in the best possible manner and in accordance with best­practise health promotion. The club’s Healthy Club project team is urging anyone with skills or a desire to get involved and help out – you too can help make a difference to the future health of our community. 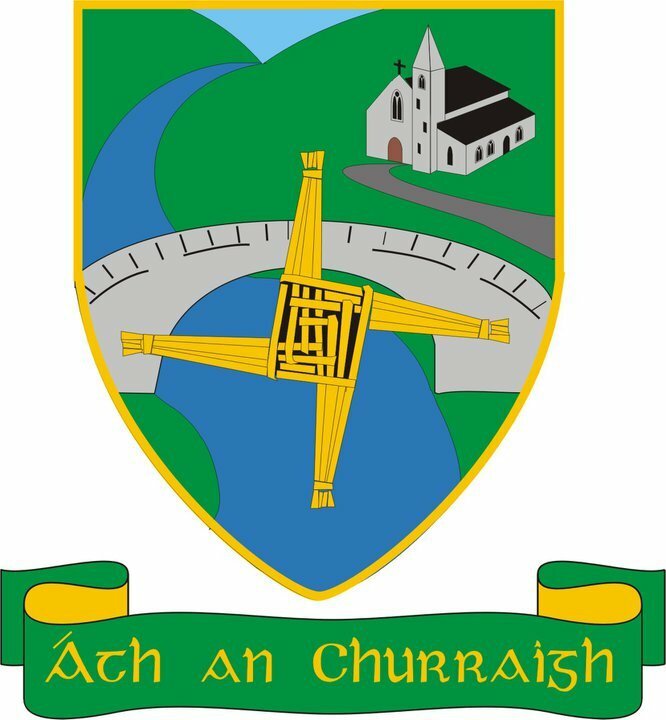 If you would like to find out more about Annacurra GAA Club Healthy Club Project or would like to contribute in any way, please contact Annacurra GAA Club’s PRO, Sean McGrath, pro.annacurra.wicklow@gaa.ie. More information is also available on our club website, www.annacurragaaclub.com, and Facebook page, www.facebook.com/AnnacurraGAA.